Tanner Communications and AutoPlus only collect the information that you intentionally provide in the app. This data is restricted to your dealership's name, address, web address, phone number and vehicle inventory data. No personal information is ever collected. We will share this information only with third parties that you explicitly specify and none others. We will retain your data for a period of 12 months unless you delete the data or request us to delete the data for you by calling us or by email. After 12 months, your data will be deleted. If you cancel your relationship with us, your data will be deleted. 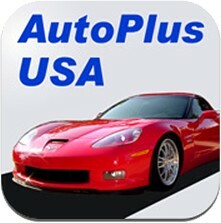 Tanner Communications and AutoPlus only collect and display the information that you intentionally provide in the app. This information is not shared with anyone.